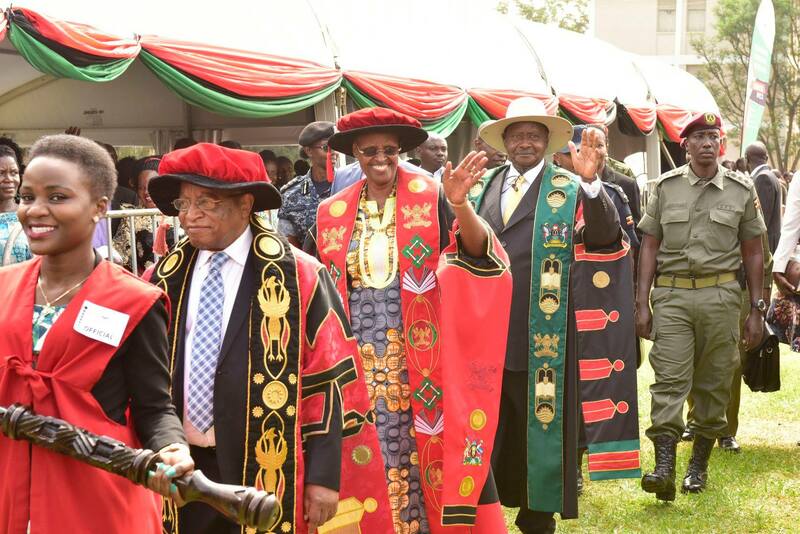 The Minister of Education and Sports Janet Museveni, has noted that in the next ten years, Makerere University will focus on becoming a research-intensive institution. Ms Museveni was speaking at the 1st session of the 69th graduation ceremony of the University at the Freedom Square in Kampala. This is week-long ceremony will see 13,350 graduands receive awards in various disciplines that included Doctorates, Master’s and Bachelor’s Degrees, Diplomas and Certificates. The University will also offer certificates to the first group of graduands in defence and security studies. She however asked lecturers in all public universities to resume duty and abandon industrial action. “Let us not appear ungrateful or insensitive, something that has caused paralysis in operations at the public universities on account of matters for which solutions have already been found and provided,” she added. President Museveni on the other hand asked the lecturers to repent for having little faith ‘that their things (remunerations) will be worked on”. He however explained that the remunerations would not come magically but in tandem with the economy.